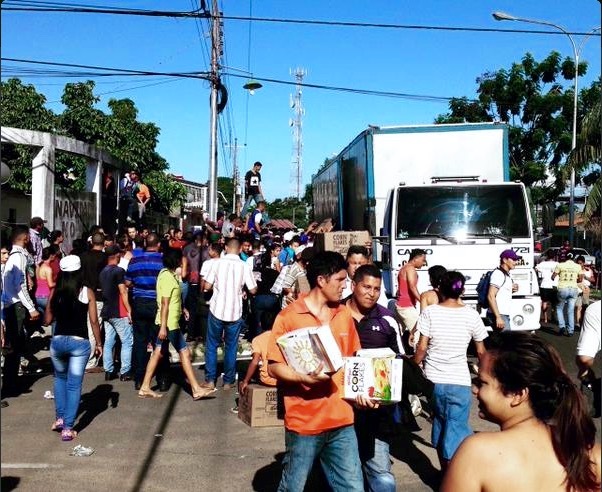 Rumors of widespread looting in San Felix, in Bolivar State, spread through Social Media today, suggesting a complete breakdown in order in the city. Correo del Caroni’s report makes it all sound quite serious: one person died, four food shops were looted – three of which were totally cleared out – and sixty people were arrested, following two outbreaks of looting between 8:00 a.m. and 10:00 a.m. this morning. So bad, yes, but not quite the MadMax hellscape some of the more sensational oppo blogs were painting. The information chasm left by the State’s takeover of almost all the independent media is really notable on days like this. 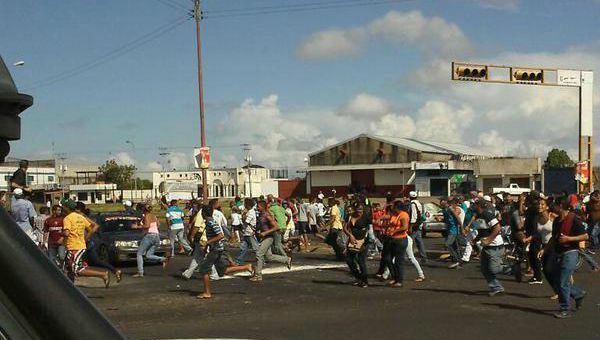 Many, many Venezuelans outside Guayana probably heard nothing about this, because state media reported on the riot sparingly, and then only to play it down, claiming not much had happened beyond a single chinese store being robbed. Right then, my confidence is restored.